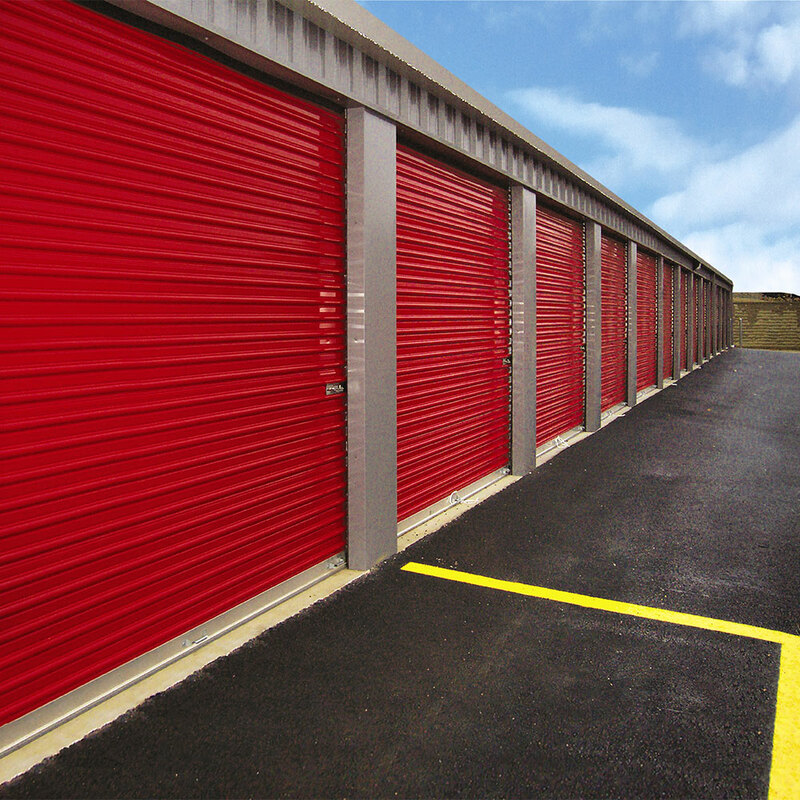 Model DS-100 is perfect for light commercial applications with openings up to 10’ wide by 10’ high, such as mini-storage buildings, loading docks, and service buildings. 18-gauge guides allow for easy installation to masonry or steel with no special preparation or overhead tracks needed. Corrugated door curtain, available in round or square profile, is hot-dipped galvanized 26-gauge steel, primed then finished with high gloss, silicone polyester paint. Rigid support bracket with bearings hold constant door tension, and allow easy adjustments. Slide-bolt assemblies fabricated of heavy-duty steel lock the closed door from inside at the bottom corners (not shown; door has optional mini curtain lock.) For added security, both slide bolts accept padlocks. Roll-up door guides are 18-gauge galvanized steel, 2" wide and install to masonry, steel or wood construction equally well. Oil-tempered steel spring is engineered to counterbalance different door sizes and weights for smooth, easy operation. The Teal, Maroon, and Purple colors have a 10-year warranty against chalk and fade. All other door colors have a 20-year warranty against chalk and fade.